If you're new here, you may want to subscribe to my Bloglovin' feed. Thanks for visiting! 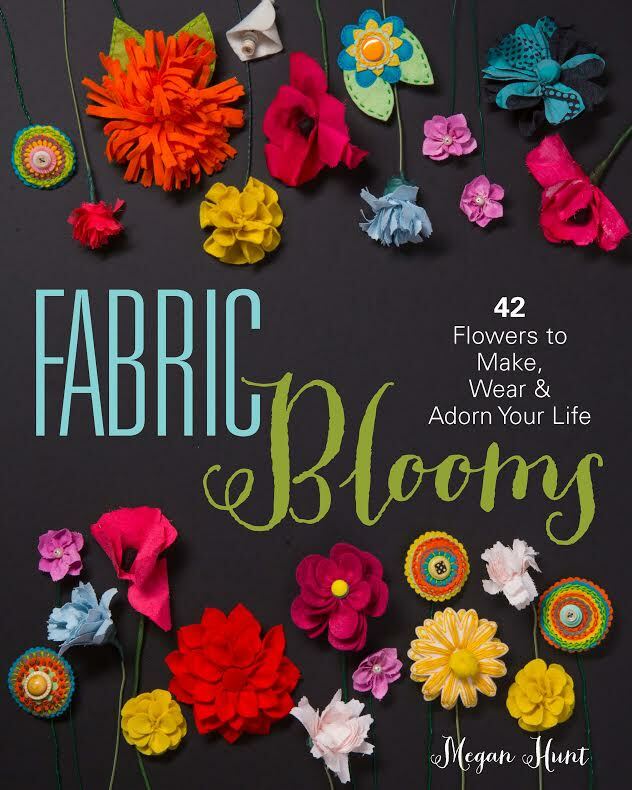 Today I have something special: A giveaway of Fabric Blooms by Megan Hunt and a free tutorial from the book! 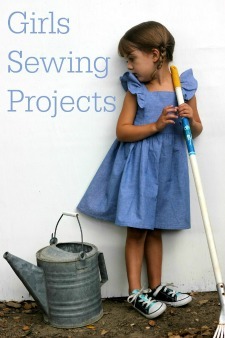 I have been making so many labor intensive sewing projects lately, and am itching to just do something FUN and EASY. One more week until my play opens, I have some mens vests to make, and hopefully can also get two more dresses for my PR audition done and then, YES! I can relax a little. And make some fun stuff. Like flower headbands for Gigi who has a new short haircut, thanks to her big sister. 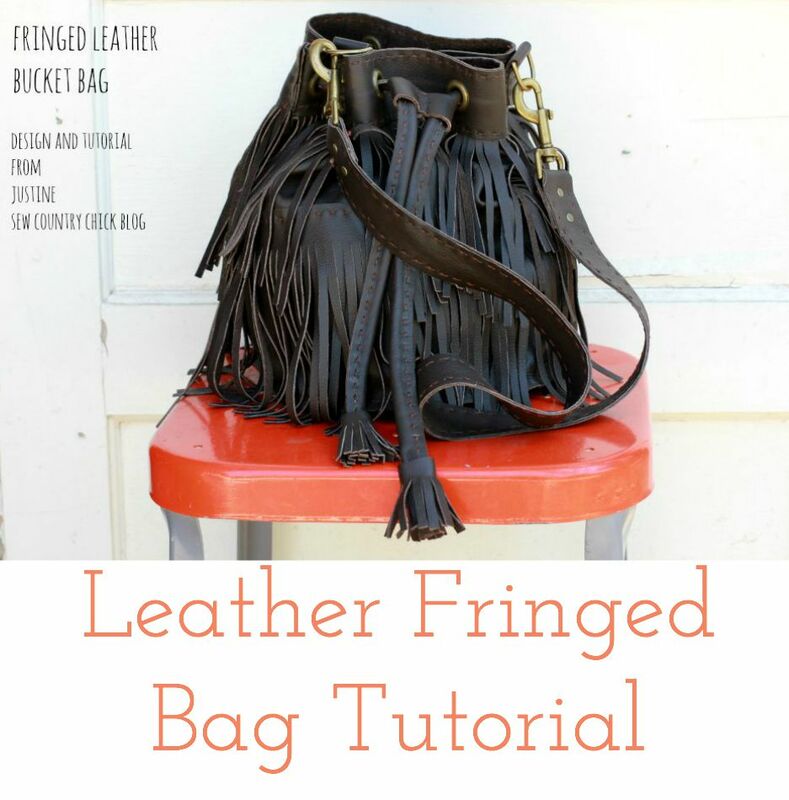 Now the publisher has kindly allowed me to share a tutorial with you that the author Megan has written. To check out more about Megan Hunt, the author, is the creator of the blog Princess Lasertron, as well. Is there anything in the world more cheerful than a daisy? 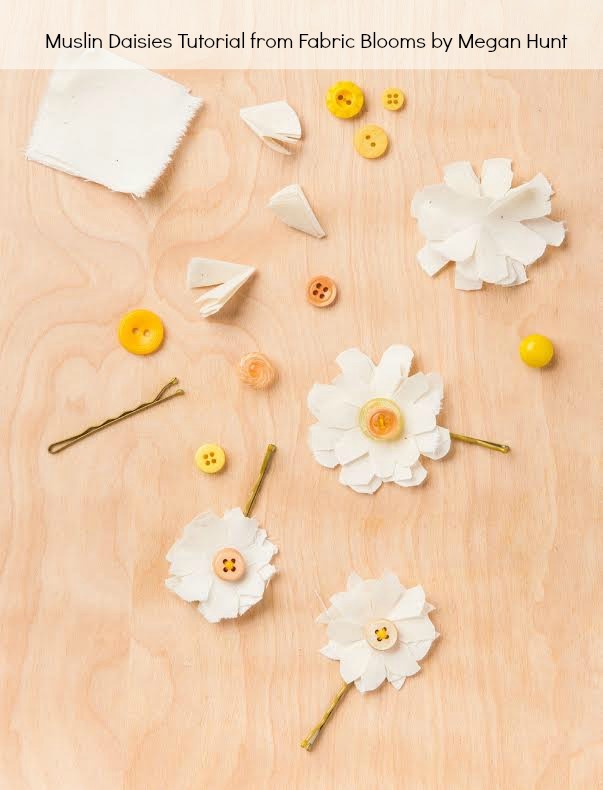 When this happy little flower is backed with a simple hairpin, it adds a bit of spring to every room you enter. This project comes together quickly and easily using some very basic techniques. 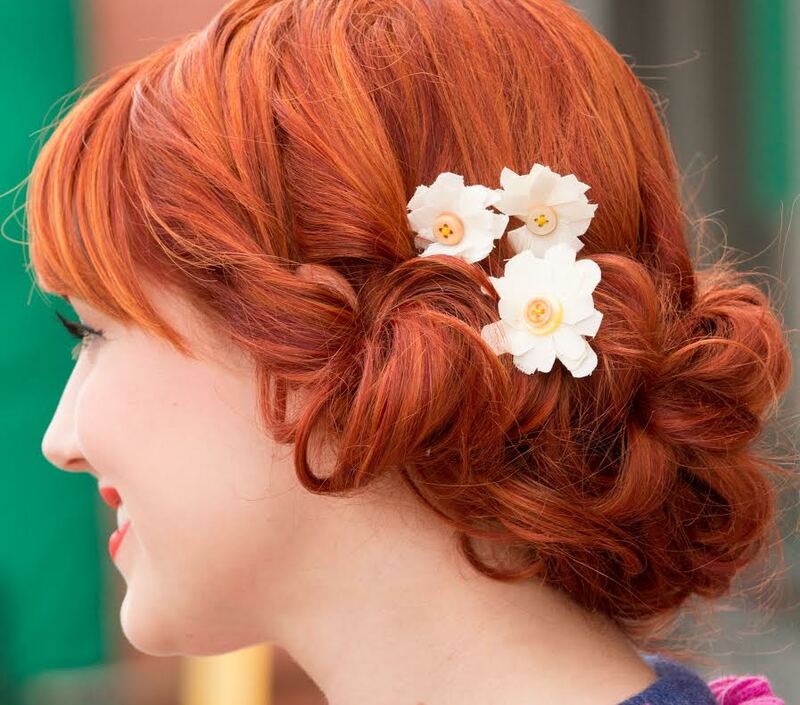 Make a bunch of these and pair them with a wraparound braid for a perfect daisy crown. Fold the muslin as if you were making a paper snowflake: fold the square in half diagonally to make a triangle, then in half again so the pointy corners meet. Fold the pointed corners together again. Iron the triangle thoroughly to make crisp, pleated petals of the daisy. Cut a deep V into the top of the triangle. Not sure if your folds and cuts are aligned? Test them out on a scrap of paper first. Unfold the muslin to revel the star like shape. Repeat with other muslin squares. Stack the three layer together, fanning out the petals so they all peek through each other. You are the winner of the giveaway! 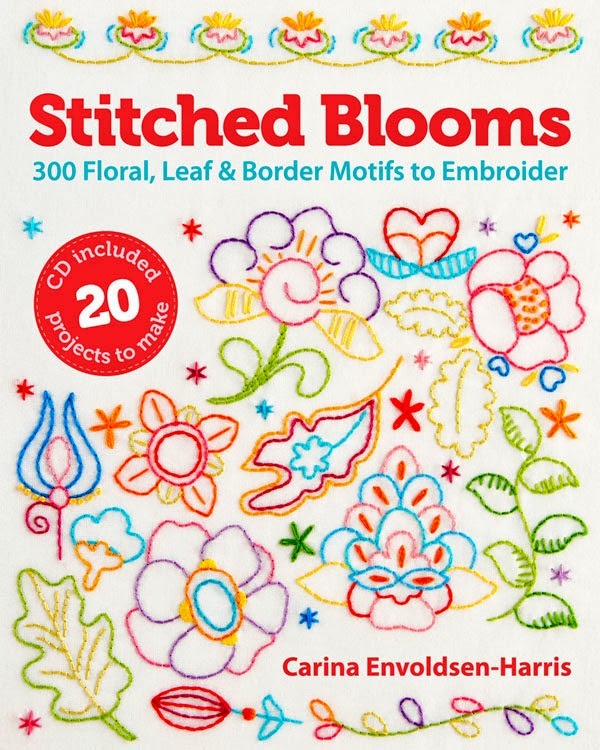 Stitched Blooms Book AND Embroidered Glass Case Giveaway! 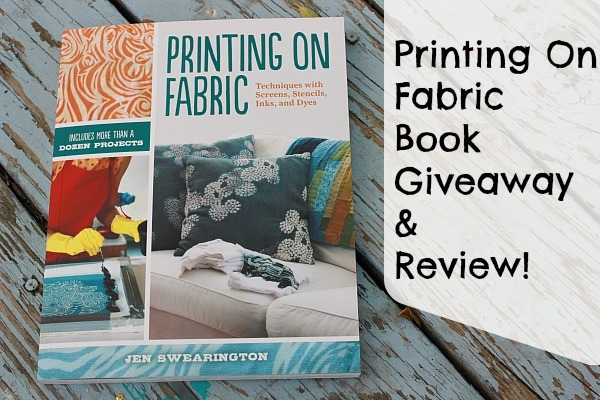 Printing On Fabric Book Review and Giveaway The Return Of Sew & Tell Saturday: DIY Fashion Link Party Sewing To Sell book review, giveaway & a purse I made from the book! You made it to the end of the post! 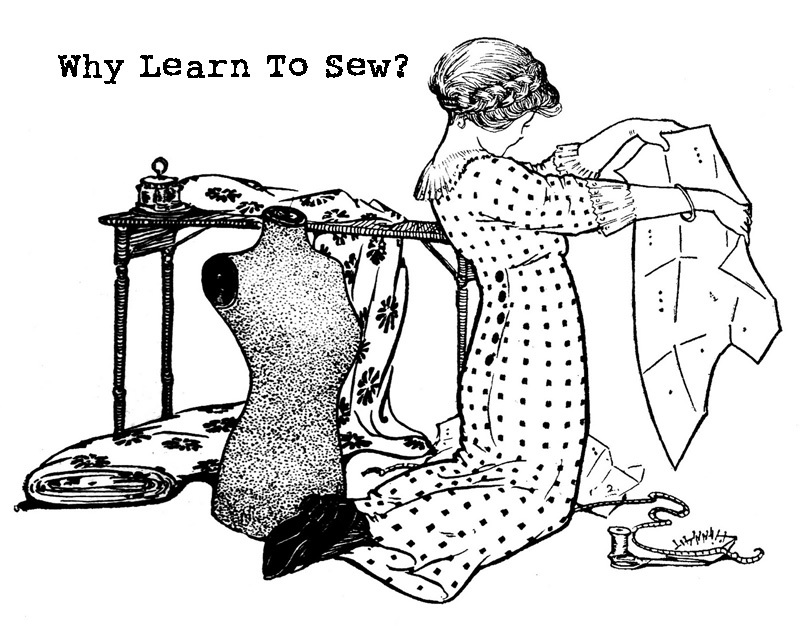 Please stop by often for a variety of sewing projects, clothes making tips , and stylish handmade living. 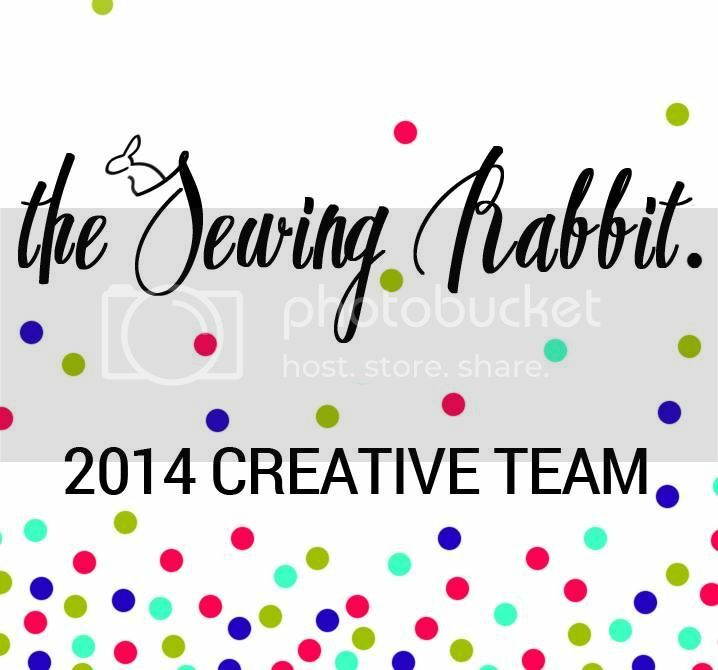 Feel free to email me at justine @ sewcountrychick.com if you have questions. I think my favorite flower is a toss up between a daisy and an iris. 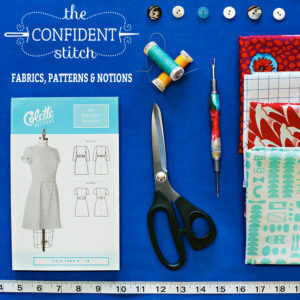 I love making all sorts of fabric embellishments for my projects, and this book looks so interesting! Thanks to you for sharing a tutorial with us. Loving tulips and hyacinths this year. Right now I am LOVING daphne. Smells so amazing when I go outside. I’m also a big fan of spring tulips. I love, love roses and peonies, especially the old-fashioned fragrant ones. I also love the scent of lilacs. This book looks like it is full of all kinds of pretty ideas. My favorite flower is a rose! Peonies! I hope the snow melts soon and I will see these beauties in my garden soon! My favorite flowers are daffodils! I just hope the snow will go away so they can bloom! This book looks like so much fun, I’d love to make each of these beauties. peonies… by far. Love them…. Hydrangeas are by far my favorite. 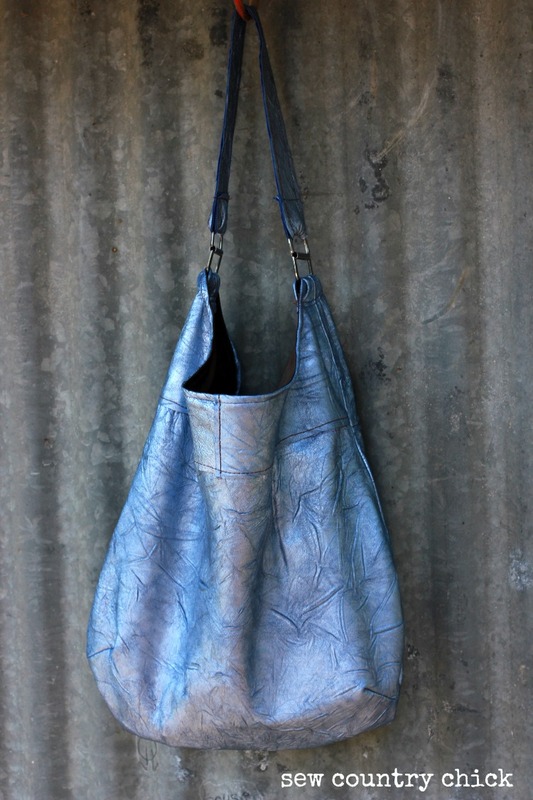 They remind me of my grandmother’s yard and I love the variety of colors and shapes, lace- tops, oak leaf. They are all wonderful. The blue iris is my favorite flower! My favorite flower is the cabbage rose. Can’t wait to make some of these for my grandgirls. Love the book! Your flowers are Beautiful! It’s really hard for me to choose a fave. It can change weekly! Right now I would have to say tulips are my favorite. I just love the thought of beautiful fabric flowers…so wonderful! I'm Justine! 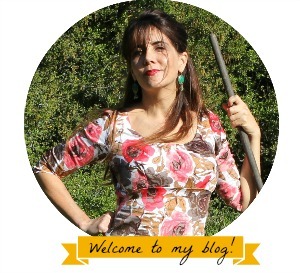 Welcome to my sewing blog! 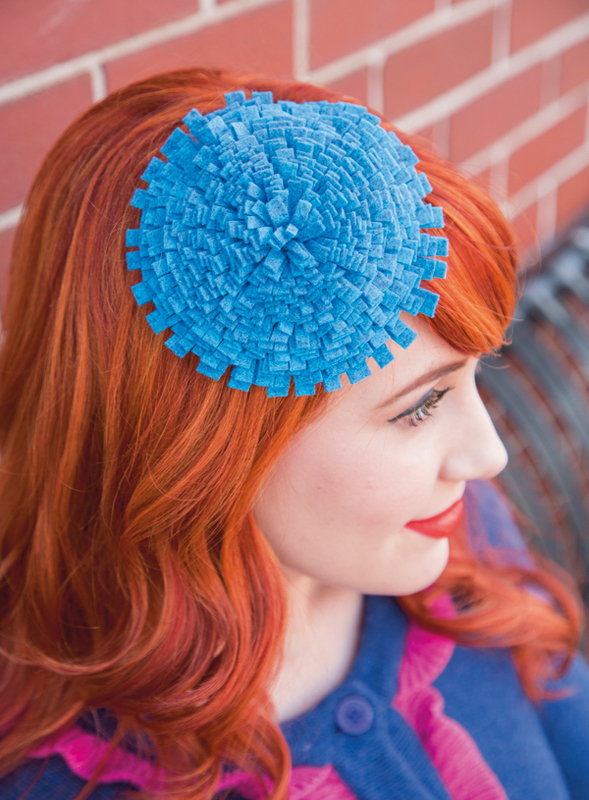 Here you'll find lots of handmade clothing for myself and other lucky folks! 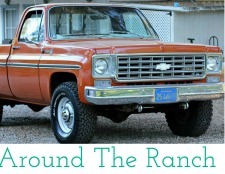 I'm a native Los Angeleno who moved to a small farm outside of LA with my family. 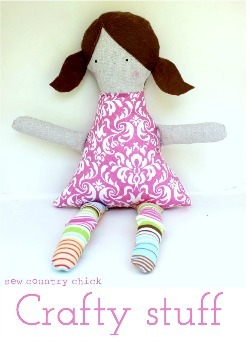 Get Sew Country Chick delivered to your e-mail inbox.